Angus Ewin at Studio G.
Advocates are pushing for young people diagnosed with autism to receive more targeted support in their hunt for full-time work. While youth unemployment is high across the board, more than half of Australia's young people with high functioning autism are out of work. Marking World Autism Awareness Day on April 2, advocates are arguing more autism-specific employment services are needed. 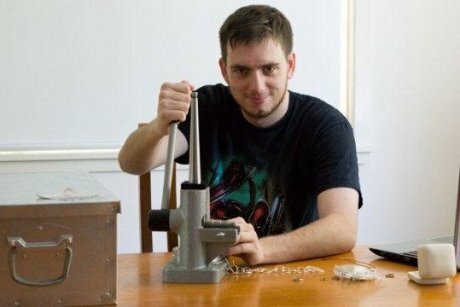 Brisbane teenager Angus Ewin, who is autistic and dyslexic, has discovered his passion is making jewellery and hopes to soon make it a career. He recently launched his own website with help from Studio G, a program that helps young people with high functioning autism develop social, work and life skills. Angus is now set to open his jewellery business later this month. PHOTO Angus Ewin working at the ring sizing press. 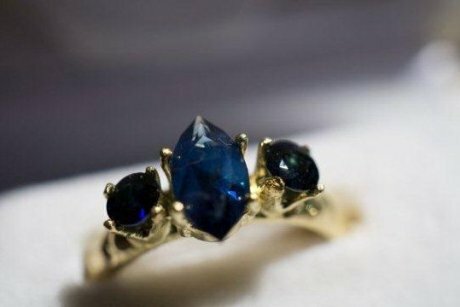 "I'd been doing silversmithing about a year and then I moved into Studio G. They've been helping me, mentoring me there," Angus said. "They've been teaching me mostly digital, how to construct websites, how to animate, how to do that sort of stuff, how to find things. "It's new and interesting. Every single project is different and unique." His mother, Melinda Ewin, said she knew it would take longer than usual for Angus to find work. "You do feel the pain that your son or daughter is experiencing because you know what they're missing out on as well for a normal life," Ms Ewin said. "It's important for every person to have a job to have meaning in life, to get out of bed, to go and do something to get out of the house, to talk to people to socialise, to be valued or not, depending on the work situation. "I am so proud of Angus. He could identify where he was going, so he'd been at home for a year, trying to get work." PHOTO A ring made by Angus. She said Angus was spiralling towards depression when he decided on a silversmithing course. "He embraced the silversmithing course, more than embraced it — it became his life after that and he gave himself a job." Dr Michael Whelan from Autism Queensland said more employment services were needed to find work for people with autism. "There are a whole range of jobs where a person with autism is the perfect employee," Dr Whelan said. "The pressure to perform or operate in the same way that everyone else does is just not a standard that they can meet. "We build on the interests that the participants already have and for a lot of young people they're using computers in a creative way. "So they're involved in game development, animation, creative writing, video making."